Prior to the party, we had a photo shoot to get a picture for the party invitations. 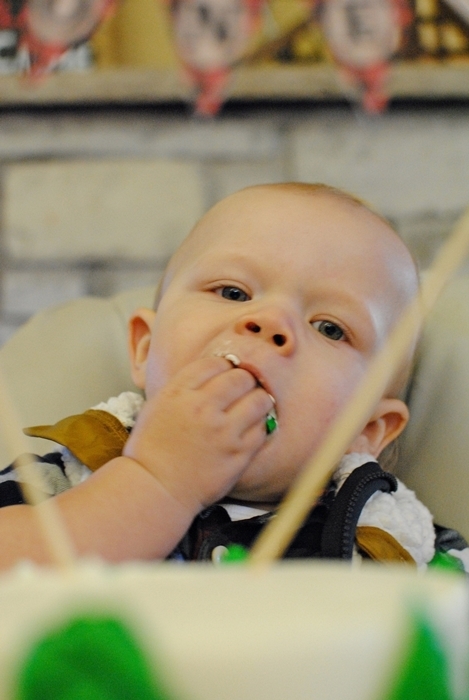 And here’s our little Boo Bear enjoying his first birthday cake. Yes, my daughter named him Bear, much like Gwyneth Paltrow named her daughter Apple. He’s such an easy going, happy baby. 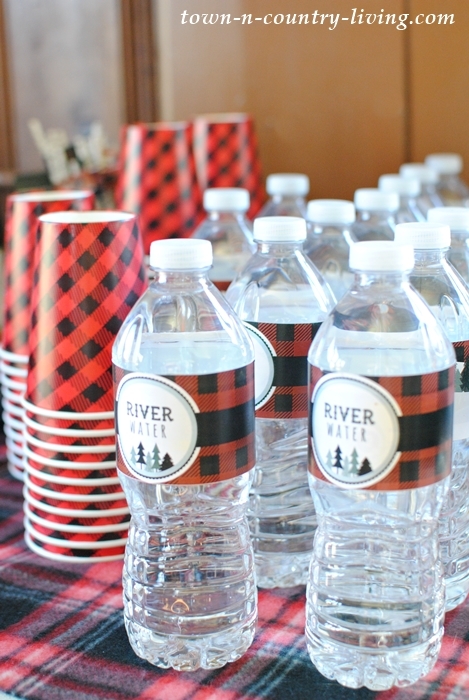 Bridget found cute little bottle wrappers to match the party theme (sources for party supplies are shown at the end of this post). 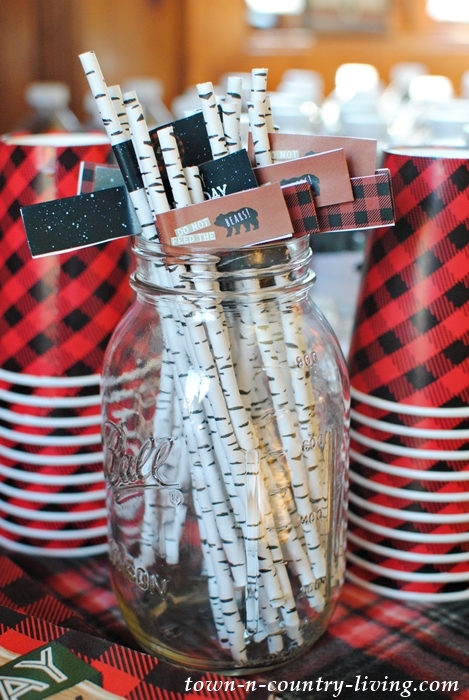 Birch bark straws with little bear flags were available. 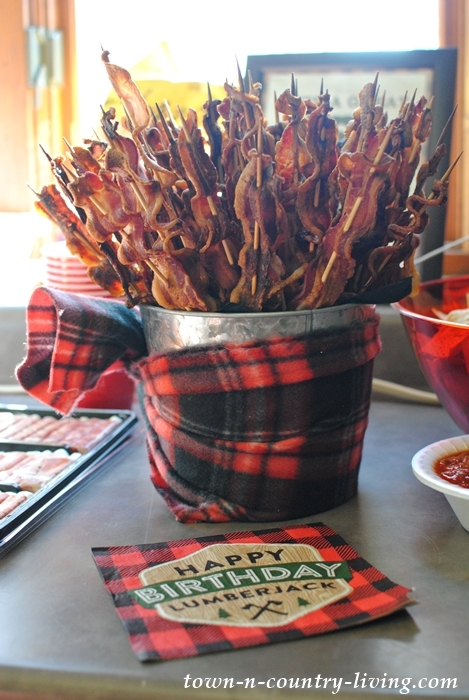 She found “bacon on a stick” on Pinterest (I’m glad I didn’t have to thread the bacon onto the skewers). 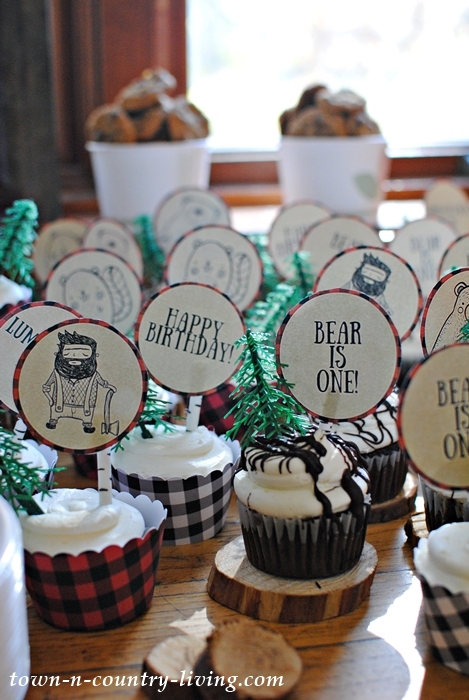 Cute cupcakes with lumberjack party toppers stole the show at the dessert table. 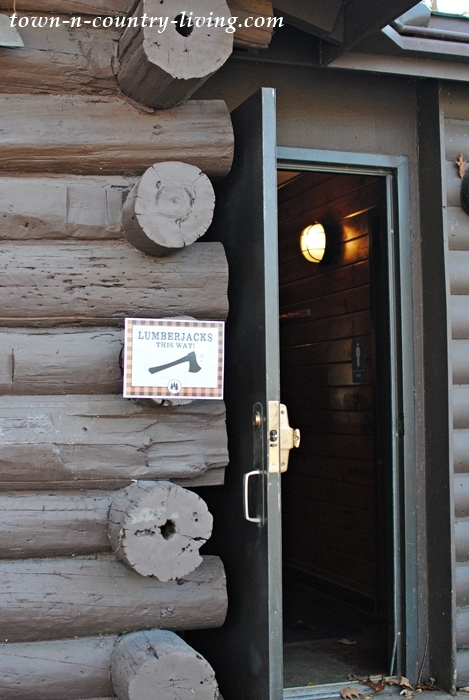 Bridget had themed party signs decorating the little lodge. 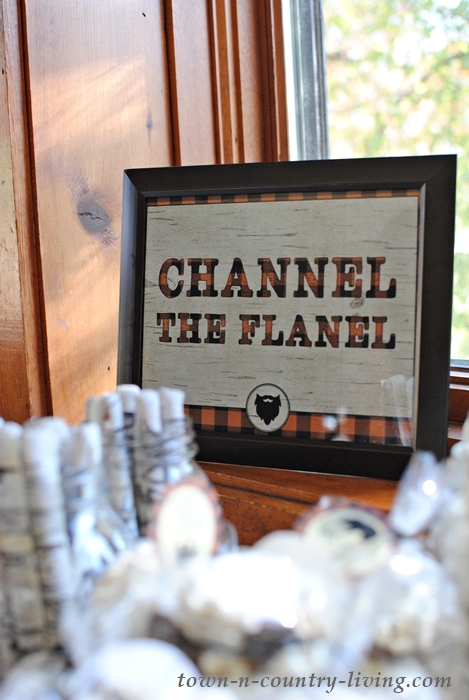 I never realized “flannel” was misspelled until I was editing photos. 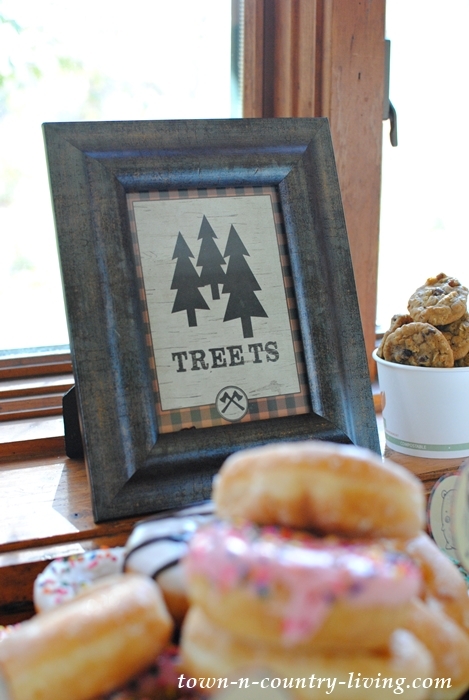 I’m pretty sure “Treets” is intentionally misspelled. 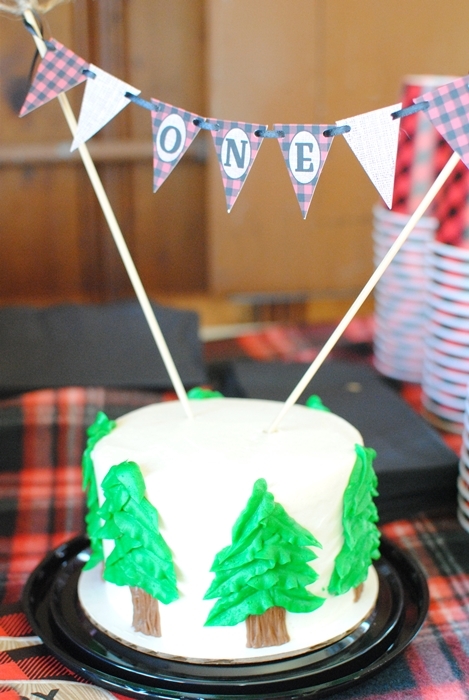 And of course, the lumberjack party cake for Bear’s first birthday! 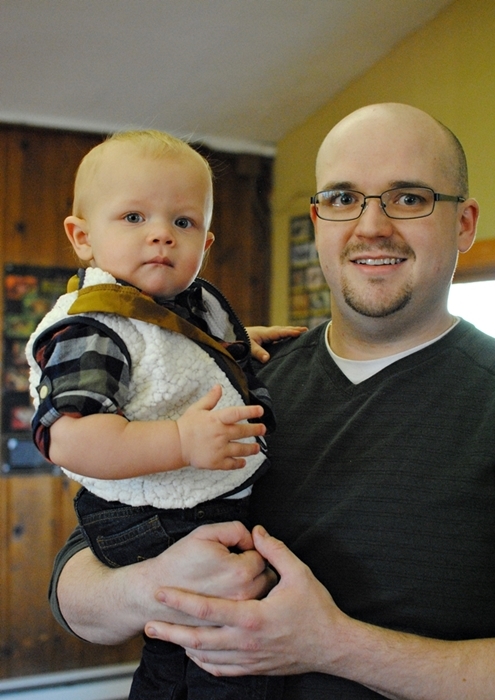 Bear and Daddy had a good time at the party. So did Bear and Mommy, who was wearing a Mama Bear shirt. 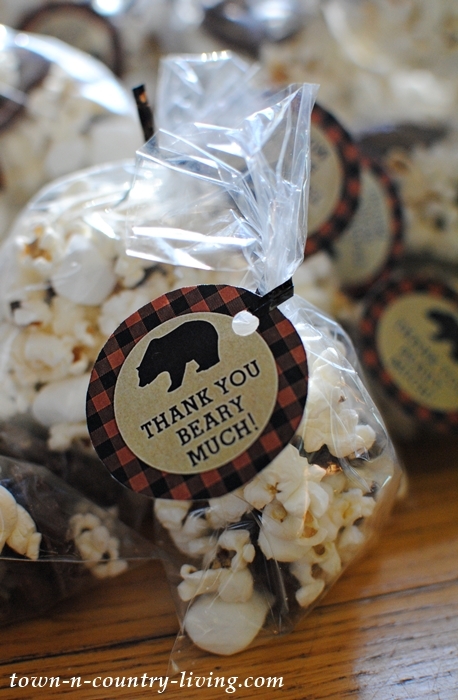 Guests left with a party favor bag filled with sweet and salty snacks. 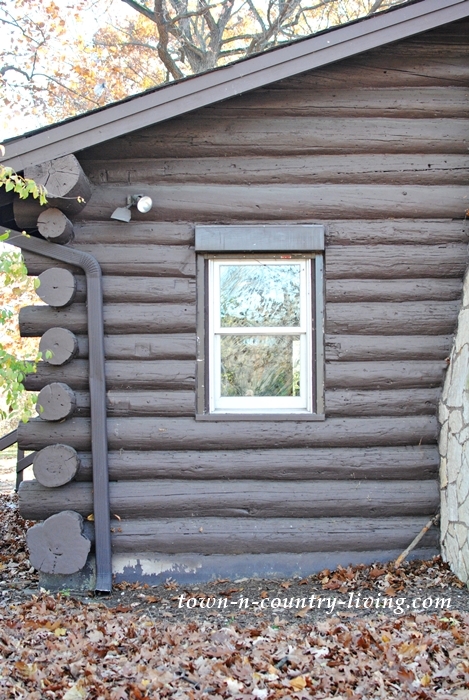 I never even knew this little log cabin existed until Bridget started searching for a party location. 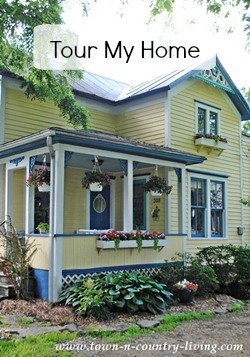 I previously shared some of the gorgeous Riverside homes located nearby. 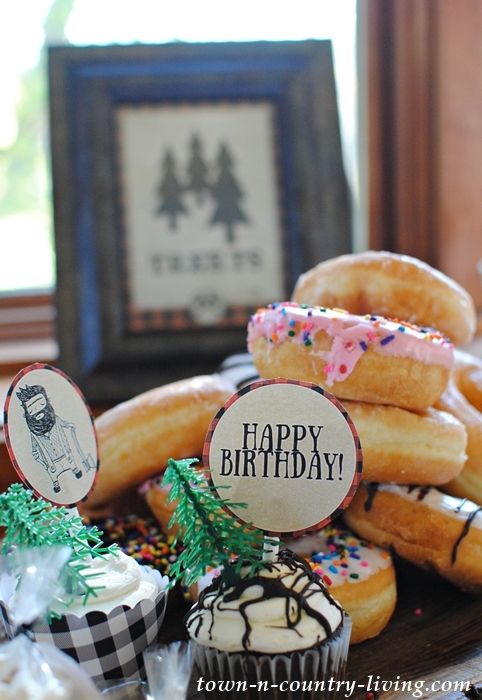 Directional signs let party guests know where to go. 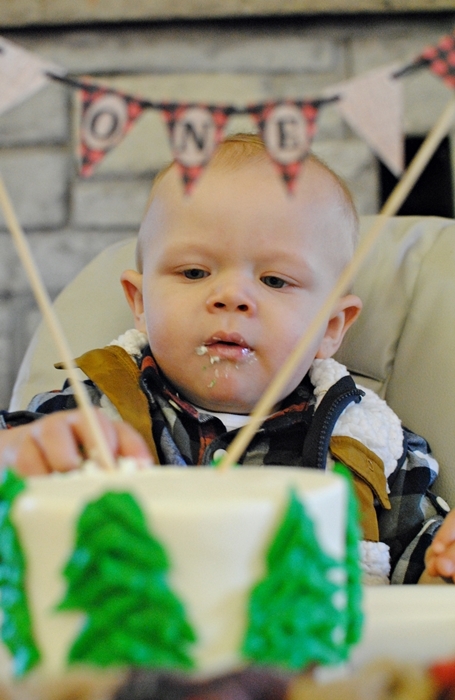 Eating birthday cake is a very serious matter. 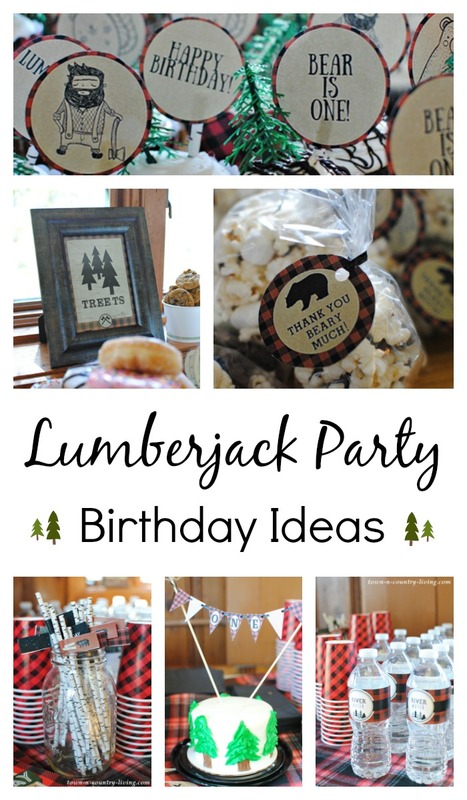 The lumberjack party theme was a big hit. 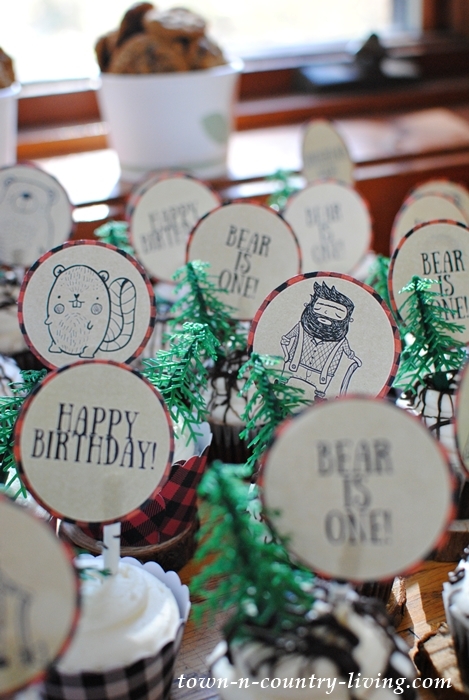 What are birthday party themes your wee ones have had? Oh, how adorable! Love all the little details and he is so cute. We had a Noah’s ark party when ours turned one. I made a boat cake with animals, a fancy watermelon cut like a boat with added paper sails and served fishies in a little canoe. 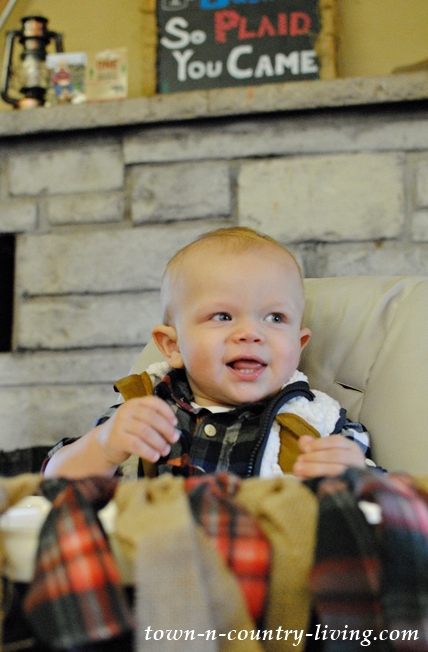 Your grandson is adorable. Love all the play on words. 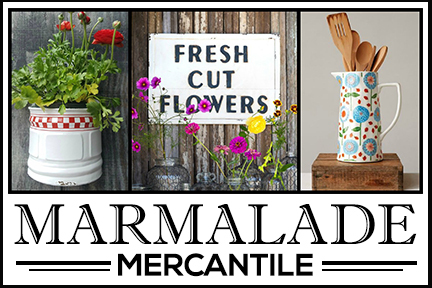 Everything is so cute and creative. 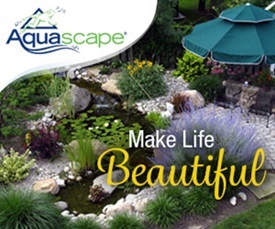 What a fun day for all of you. What a cute birthday Party! That little Bear is one adoreable baby. I think Bridget inherited your talent of creative decor. My youngest granddaughter turned 1 last July. Her parents are not really geared towards fancy celebrations (they’re very good at other things)so they had me plan it. 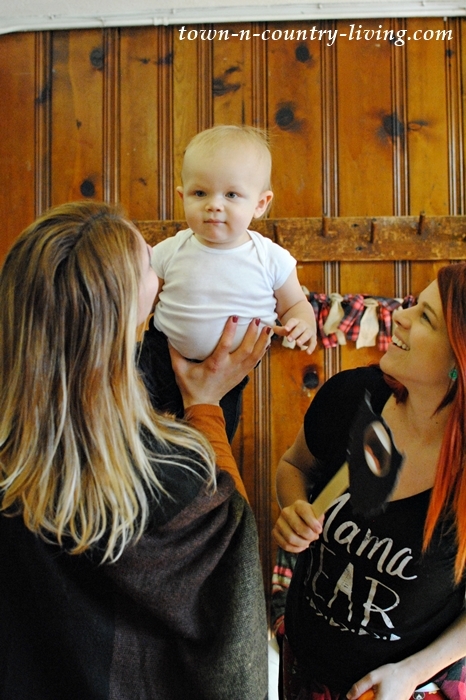 We too rented a log house, with indoor swimming pool, and had a vintage little girl theme. It was fun. Here’s a picture I took for the invitations. Well, I can’t get it to post. That is so freakin cute! Happy belated bday Bear. Bob never shared this with me. Stinker! This is sooooo adorable!!! What a great party! Such a cute little Bear! Your grandson is sooooooo cute. I was surprised by his name, though. I have a nephew, age 33, whose middle name is Spike on his birth certificate but he has never been called that out loud by anyone except his dad. The party theme was really great and certainly was appropriate for your grandson’s name. I hope he grows up to be a big strapping fellow and grows into his name. Your daughter did a wonderful job and I agree with Nancy, your daughter has a bit of you in her on her creative side. Happy belated b’day boo Bear. Thank you for sharing. 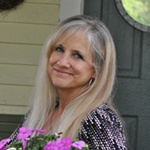 Your pictures are so wonderful, it is like being at the party all over again. It was a wonderful day! Thanks for sharing the memories, he is a lucky little boy. 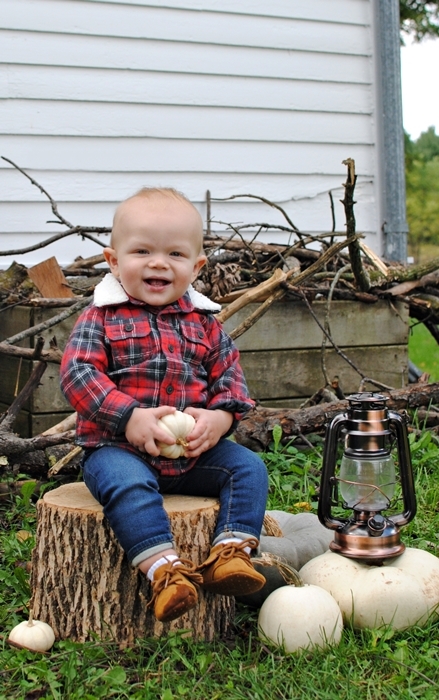 I was so excited to see your post first because we are planning my grandson’s 1st birthday with a lumberjack them as well AND his name is also Bear!!! So many cute ideas. Love all the details. I’ll have to let my daughter know there’s another little boy running around with the name “Bear”. It’s not a very common name. Enjoy planning his lumberjack party. It makes for a cute birthday theme!